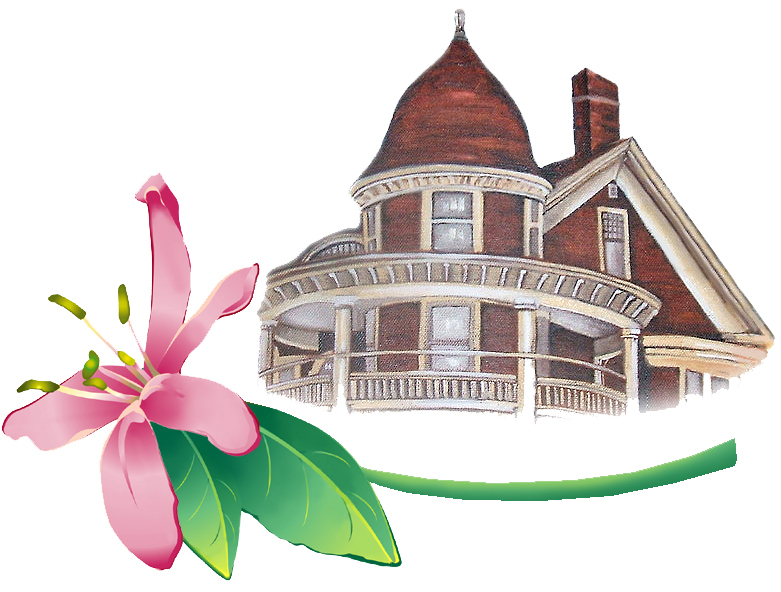 Lonicera Hall is a provincially-recognized Heritage Home and boasts a legacy that is an integral part of Charlotte County’s rich history. Built in 1841 by James Porter, a local shipwright, the house originally faced the river. When Gilbert Ganong purchased the home for his new bride, Mariah, and, for twenty-seven dollars, a substantial sum at the time, commissioned workers to turn the house to face inland. As the story goes, the house was turned to avoid his wife having a view of Water Street, now Milltown Blvd., and the docks. Gilbert also added the turret, balconies and verandas to the stately home. Charlotte County, and St. Stephen in particular, was a shipping hub in this era, rivalling Saint John in importance. Beyond personal history, the Ganongs were hosts to many historical figures and were privy to much of the economic and political development of the area. Gilbert himself would go on to become Lieutenant Governor six months prior to his death in 1917. The story of Mariah and Gilbert Ganong is a love story. Mariah haled from Nova Scotia and never forgot her roots. A woman ahead of her time, she was forward-thinking and perceptive, and the gift that is Lonicera Hall today was her inspiration. Observing the people who worked for them, she questioned what was provided for them in their elder years and “The Mariah F. Ganong Old Folks Home” was established in 1935, after her death in 1934. We have come a long way since then. No longer an “old folks home, but an independent seniors residence, Lonicera retains all the character and beauty of its era while boasting a modern blend of amenities and services. If you want to arrange a tour, please email hello@lonicerahall.com or call 506-466-1471.